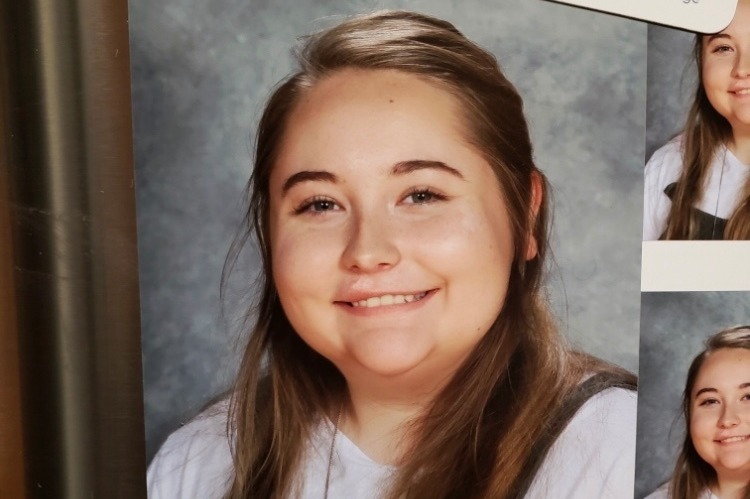 Short version: 15-year-old Jordyn is in the hospital for an unknown cause but experienced severe stomach pain, vomiting, and bloody diarrhea. She got very swollen and the immense pressure in her eyes has caused her to become permanently blind. Please help support us in discovering the cause of this and preventing future episodes. 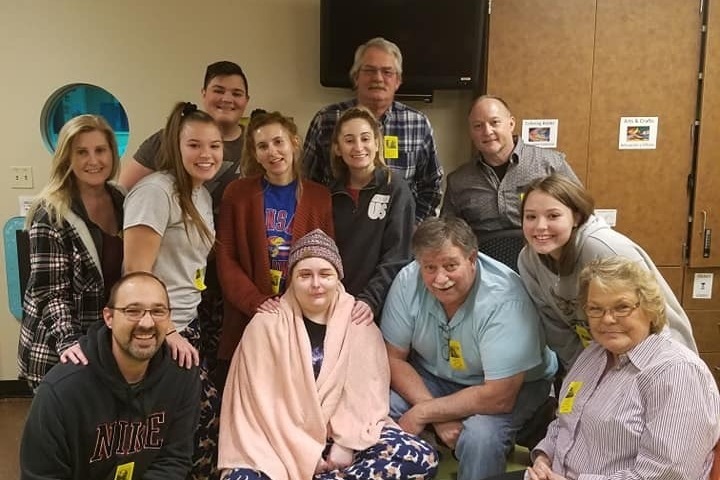 Full version: 15-year-old Jordyn was rushed to the KU Medical Center Emergency Room at 4:43 pm on Wednesday, December 12th, 2018 due to 10 days of severe stomach pain, vomiting and bloody diarrhea (colitis). During the 3 to 4-hour wait in the ER, Jordyn began to swell, causing a sudden loss of vision. She was rushed to the pediatric ICU around 9:01 pm. The pressure behind Jordyn's eyes was an average of 85 mm Hg - the normal eye pressure is around 12-22 mm Hg. Ophthalmologists cut slits by her eyes to detach her eyelids and to try and open the eye socket in order to reduce swelling. Jordyn was still conscious but received lidocaine for numbing. 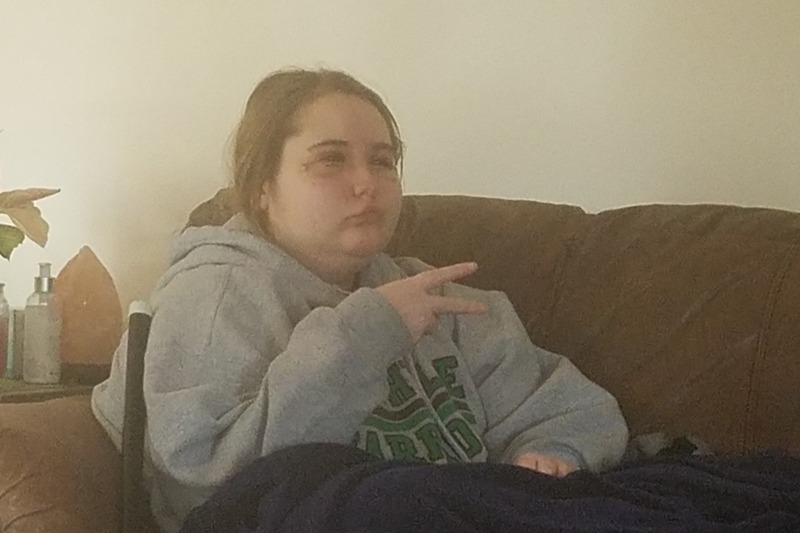 This was only briefly effective, and they later performed an emergency operation around 1:30 am to remove part of her orbital bones on each side of her face to reduce the swelling. The swelling began to subside after removal of the orbital bones and receiving upwards of 1000 mg of steroids. Jordyn was sedated and further testing was done. As time progressed, she remained in the PICU. Jordyn was tested for her eyesight to come back for the next 3 days. On the evening of Sunday, December 16th, it was determined that Jordyn would be completely blind. It is unlikely she will ever see even shadows of light again. Doctors believe that the blood flow to the optic nerve was compromised, severely damaging one nerve and completely destroying the other. 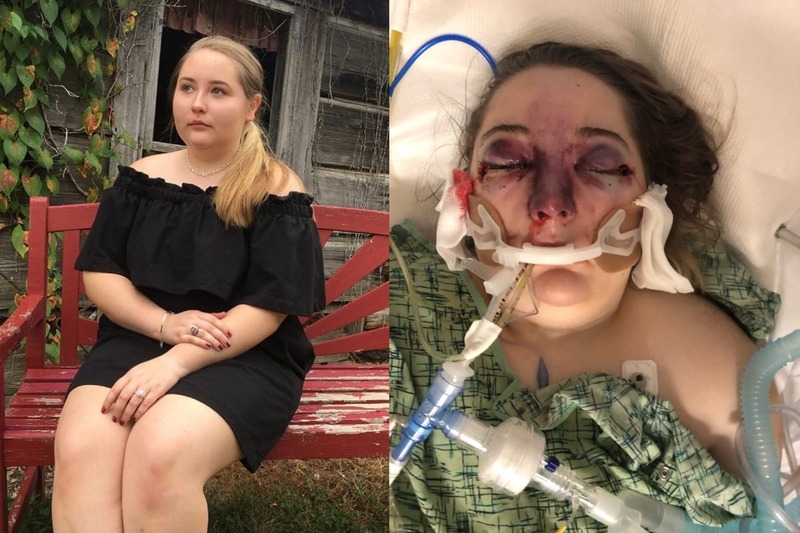 Her right eye experienced what in the brain would be similar to a stroke, obliterating her optic nerve and causing severe damage to the retina. The substantial pressure in both eyes stretched the optic nerve, completely separating it from her right eye and compromising it beyond repair in the left. 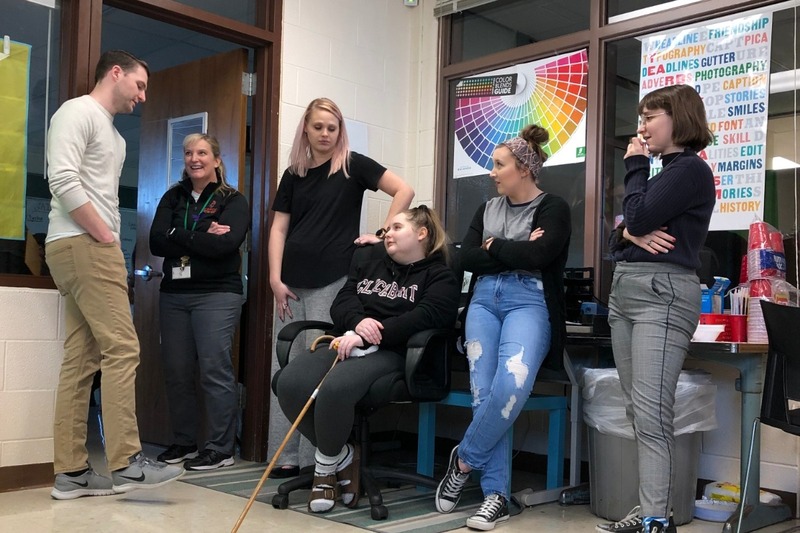 Before the onset of Jordyn's illness, she participated in many things that greatly relied on her eyesight. Jordyn has always been an avid reader and spectacular writer. She is passionate about photography and is the lead editor of her school's journalism program. Jordyn is a very keen member of Smithville High’s archery team, qualifying for the state tournament. Jordyn was excited to return as Manager for the school Baseball team this spring. Losing her eyesight will cause major lifestyle changes as she begins her journey beyond the hospital. Jordyn will unfortunately still be in the hospital for Christmas Day, and possibly New Year’s Day as well. There has been no diagnosis to determine the cause of this event. There are many symptoms pointing to some sort of Autoimmune disorder or Vasculitis. However, more research and testing will need to be done to determine an overall diagnosis. A visit to the Mayo Clinic could be very near in Jordyn's future to discover this medical phenomena. 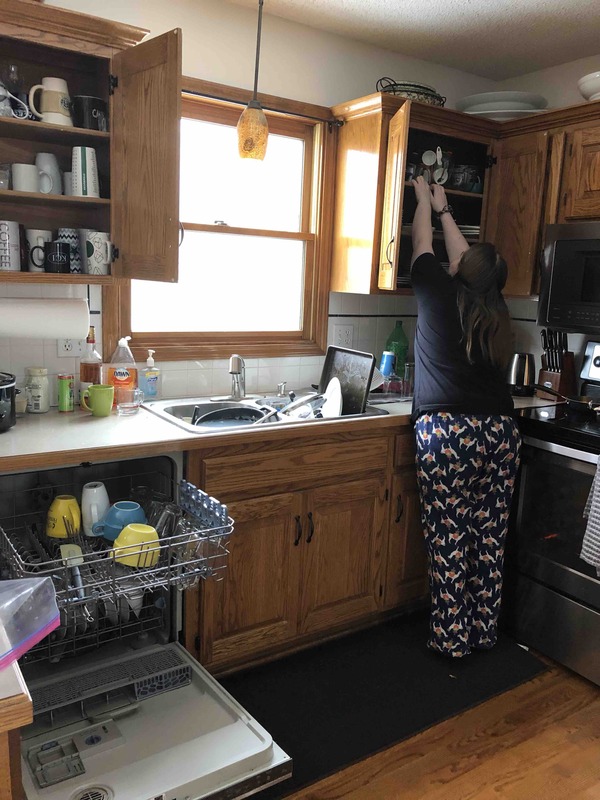 In addition to the extraordinary medical expenses, both parents have taken a leave of absence from work without pay for the foreseeable future to advocate Jordyn’s medical treatment and to support her challenging transition to life as a blind teenage girl. 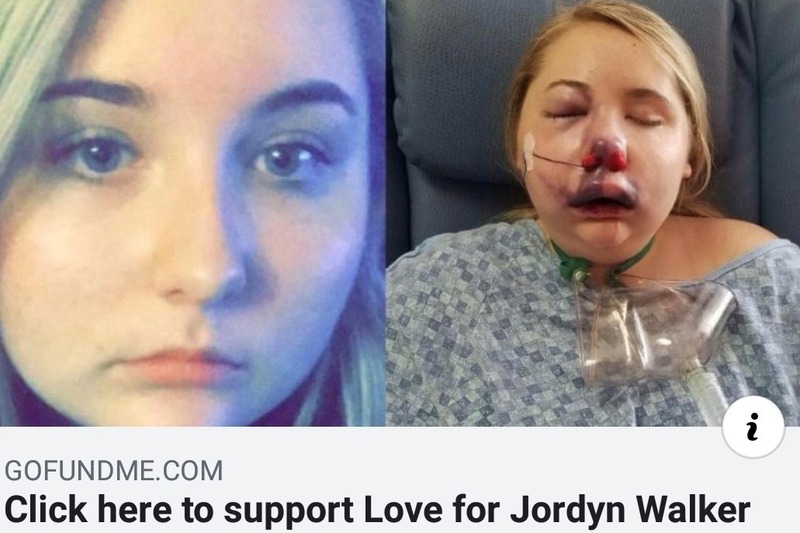 Should you make any generous contribution, it will be applied first to out of pocket medical expenses, necessary travel to out of state medical facilities, extensive rehabilitation, counseling and life skills transition needs, and the safety modifications that are required to ensure Jordyn’s safety navigating her respective homes. Given that Jordyn's primary caregiver will not be returning to work, funds will additionally be used for various living expenses as needed. 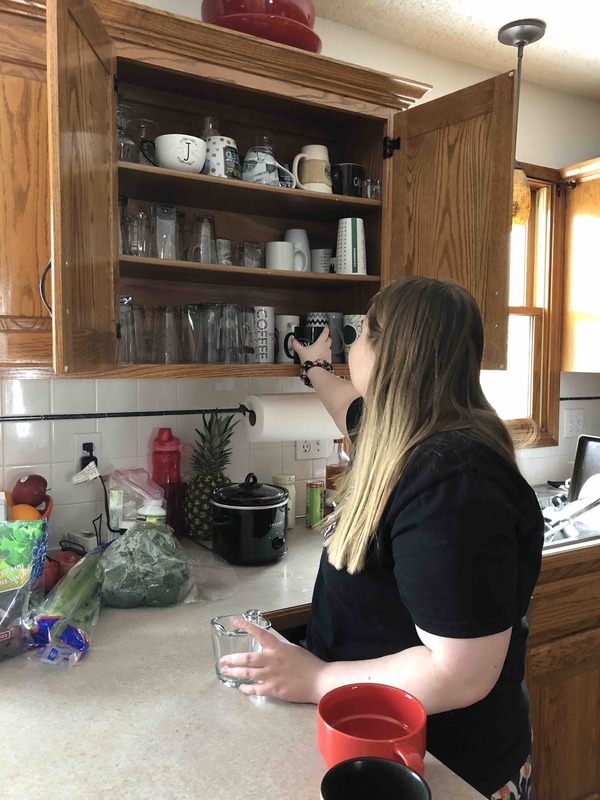 This support is essential to restoring normalcy in her life and accepting that blindness is not a disability, but will require Jordyn to apply different skills to accomplish her daily activities. Please spread the word. The human spirit burns brightest when we are untied to solve a problem. We can’t imagine that her condition is so rare or so unique that it is beyond medical science in 2019. Please share this story with anyone you know in the medicinal, holistic, or chiropractic medicinal communities. We are hopeful that your input, guidance, advice, referenced organizations, etc. will help her guide Jordyn thru the psychological and physiological recovery she needs to adjust to her new life without vision. If there are any medical professionals that may have ideas on what may have caused this strange chain of events please share. You can email us at JordynsCause@gmail.com with any questions or information. We can provide you the timeline with pictures of the July 2017 and December 2018 episodes and current lab test results. *Note: This is not Jordyn’s first time experiencing this horrific swelling. In July 2017, this same mysterious illness cost Jordyn her senses of smell and taste. This year, she lost her sense of sight. Please help us in solving this to prevent her from losing any more. Jordyn's Immediate Family: Joseph Keith Walker, Kendyll Strawbridge Walker, Shannon Loerzel, Sidney Walker, Samantha Walker, Autumn Loerzel, Shannon Loerzel Jr., and Evelyn Loerzel. Posted by Shannon Loerzel Sr. 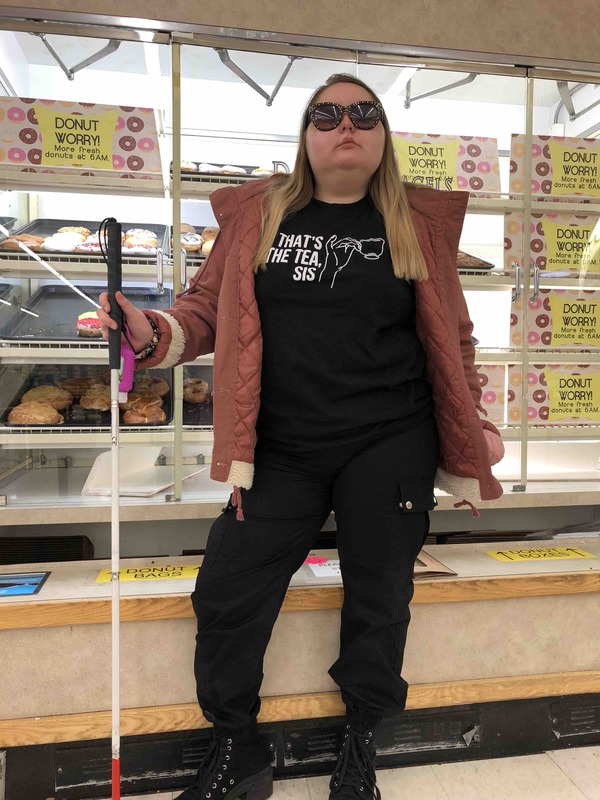 Yesterday Jordyn was very successful in navigating our local Price Chopper with her newly administered temporary white cane. She also came straight home and emptied the dishwasher. We are excited to see her making physical and emotional strides! We will be traveling back to Mayo Clinic on January 30th for genetic testing. We hope they can provide us some answers. Today was a productive day for Jordyn! We visited her school where she walked around, spoke to teachers, and chatted with friends after hours. 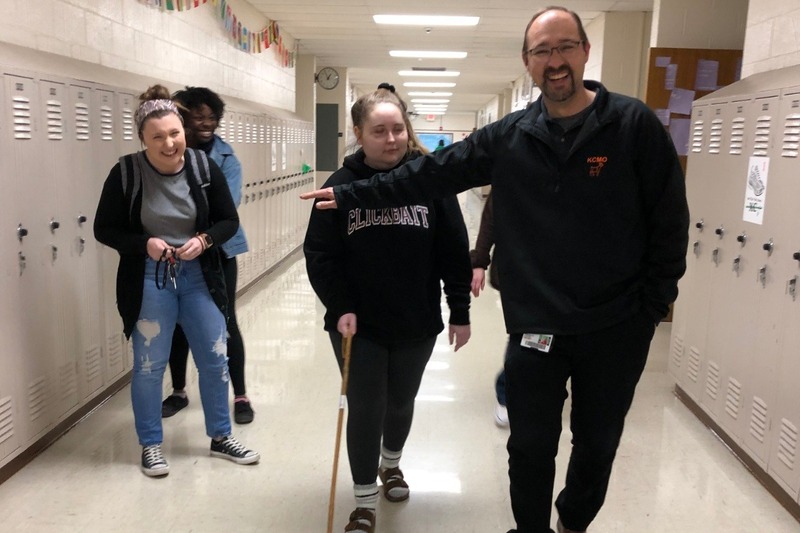 We are unsure when Jordyn will return fully back to school, but were able get her acclimated to her new vision teacher. We are so proud of her determination and progress. Please continue to pray for Jordyn and send positive vibes her way! Although it is true that Jordyn returned from a cruise just before the illness presented itself in 2017, there is no definitive evidence that the cruise line, the conditions of the ship, parasites from Caribbean waters and islands were the cause of the illness. Between 9 and 13, she had minor bouts of colitis but many less infections. When she was on the cruise in 2017, the colitis started at the beginning of the cruise, and was no different than previous bouts. The extraordinary reaction did not start for several 4-5 days after landfall. In 2018, ironically the exact same colitis was followed up with exact same symptoms which lead to the extreme swelling and blindness. We would like to revise the sensational story about the mystery illness caused by a cruise back to what the post was originally intended: finding answers for a blind teenager in fear of another attack. Jordyn's story is one of courage, will and determination. Despite the odds, she is "ALL IN" on herself to overcome a disease with no name, no diagnosis, and no cure. To those in confusion about the other GoFundMe pages, Jordyn's relatives were kind enough to attempt to create a new one for her. There was a slight miscommunication and we are actively working on dismantling this account known as "Jordyn's Cause: Funding Research and Recovery". It is no longer accepting donations. The other account was from the initial bout in July 2017, where Jordyn lost senses of taste and smell. All these accounts are interconnected and share slightly different variations of the same story. We recognize this can be confusing and may pose red flags to outsiders, but we want to assure everyone that we are actively fixing the situation. Jordyn's story blew up so fast and has not provided is with adequate time to correct the headlines and misinterpretations of her story. It was never our intention to blame the cruise, nor create confusion over the GoFundMe situation. We take full responsibility for this miscommunication and hope this provides some clarity to the situation. Thank you all, and we are so thankful for the well wishes for Jordyn. Please refocus on the positive vibes, shared experiences, and the invaluable input to our "think tank" as we gear up for the next phase of her journey toward a diagnosis. Jordyn was able to come from the hospital yesterday evening. We left the hospital with no diagnosis and will be traveling to the Mayo clinic within the next couple of weeks. Jordyn is happy to be home but will have many changes in her future. She has decided to remain positive about her life changes but has good times and bad times. Jordyn has resilience and will get through this but will need as much support as possible. Friend visits and company are appreciated with notice. Continue to pray for Jordyn.